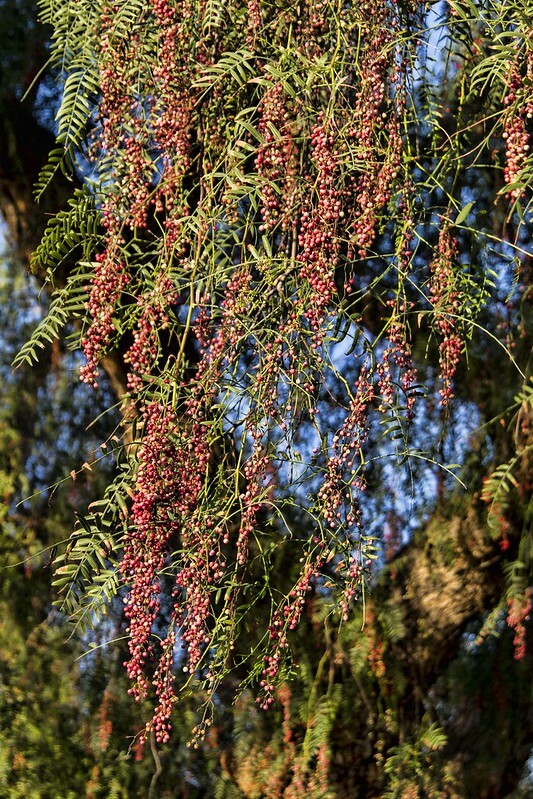 I like pepper trees. I love the incongruity of the tree: the gnarly trunk looks rugged and wild, yet the leaves are graceful and airy. It makes for an interesting contrast. 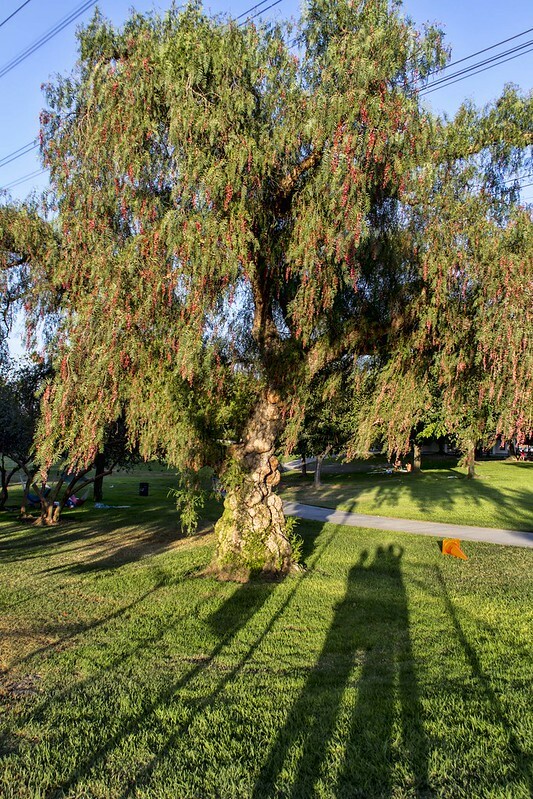 Despite the name, the California pepper tree is not native to California. It is native to the deserts of Peru but has since been cultivated in warm regions around the world. This tree can be found throughout South America, Central America, the Caribbean, the southern United States, Hawaii, Australia and Africa. 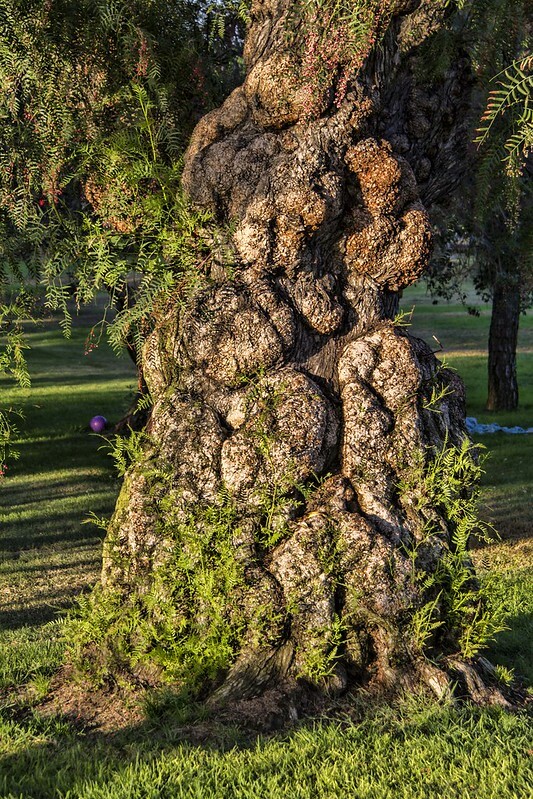 It is a fast-growing tree, even though its bark makes it look ancient. I have always thought the red berries were not edible, but according to one of the sites I researched, they can be substituted for pepper.